There are hostels in Tehran that I like to introduce the best of them to travelers. Tehran Heritage Hostel is one of the newest and currently largest Hostels in Tehran, offering both private and dormitory rooms of the highest class. Whether you’re a backpacker or a budget traveler, you will enjoy staying at this Hostel. Recently renovated, Heritage Hostel is not only a fantastic location and building but offers an unbeatable service. They have a 24-hour reception so you can be assured they are always there for you if you need them, they have also taken great care when it comes to your safety & security so you don’t need to worry and can chill in their common room. 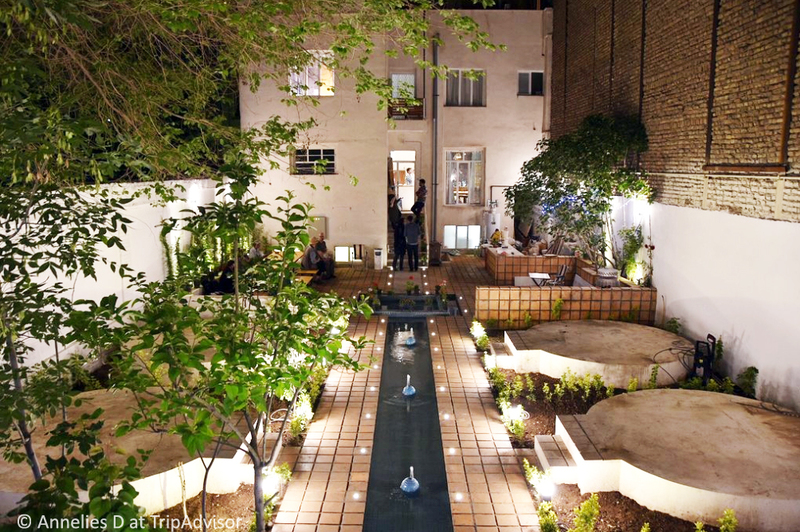 Located in the heart of Tehran, Heritage Hostel is only 100m away from Baharestan metro station. Great selection of cafes, restaurants and juice bars are only within five-minute walking distance. The Parliament, Negaarestan Garden, National Arts Museum and Masoudieh Palace are a just 8-minute walking distance from our Hostel. Tehran Grand Bazaar, Golestan Palace, and National Jewelry Museum are all less than the 30-minute walking distance from Heritage Hostel. 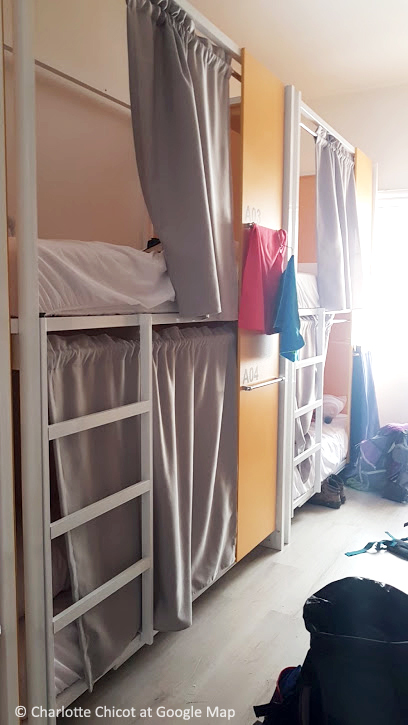 Their dormitory rooms feature their own beautifully designed bunk beds with private curtains, individual lockers, sockets, and light on each bed, while their beautifully decorated private rooms are equipped with great furniture and stunning bed linen. Common area features a mini-bar with the excellent choice of beverages, tea, and amazing coffee. Laundry, common kitchen, free WIFI across the property. 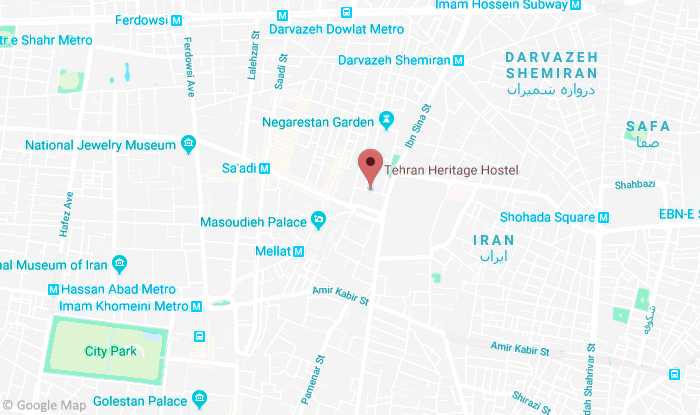 This hostel is in the old part of Tehran near to Grand Bazar and historical places. The internal space is a combination of modern art and Traditional Iranian Art and The staff are friendly and kind. I recommend here. When you arrived, they bring back to you 10% in cash.